The Huerkamp Home Group was founded on a firm commitment to provide superior service so that clients recommend us to family and friends, realtors want to work with us, team members are proud to be in business with us and people are inspired to achieve what they thought was unreachable.  The Huerkamp Home Group is your real estate specialists in the Twin Cities and surrounding communities of Minnesota. We are ranked in the top 1% of agents nationwide! The team is dedicated and experienced in the Twin Cities real estate market and we look forward to working with you and being your real estate team for life! You will have a great experience buying or selling real estate. Jason is the ambitious founder and co-leader of the Huerkamp Home Group. For the past 17 years, Jason has been building his real estate business and helping his clients buy and sell homes. Since 2002, the Huerkamp Home Group has grown exponentially to become one of the most dominant real estate teams in Minnesota. Jason is also a savvy real estate investor and enjoys sharing this aspect of the business with others. Jason's clients appreciate his straight-talking, positive attitude. If you need an expert to buy or sell a property, Jason and the Huerkamp Home Group should be your #1 choice! In his free time, Jason enjoys traveling, snowmobiling, boating and spending time with his wife Brooke and 2 children Piper and Crosby. Olivia joined Keller Williams Preferred Realty in 2002 as a Real Estate Agent and sold Real Estate for 6 years. During those 6 years, she volunteered on various committees, had one of the highest honors inside Keller Williams and was elected to serve on the Agent Leadership Council for 5 years. Olivia was recruited to become the CEO and Team Leader of the Keller Williams Realty office in Maple Grove, MN and helped turn around the company. Under her leadership, she grew it to a top performing office in the entire state of MN. In November of 2012, Olivia shifted back to become the CEO of Keller Williams Preferred Realty where she began her Real Estate career. Under her leadership, the office grew from 30 Realtors to over 130 Realtors in 3 short years. In March of 2016, Olivia joined the Huerkamp Home Group as CEO and is responsible for hiring additional talent to the team, coaching, leading and motivating the entire team. Olivia also works with seller clients and represents them with the sale of their home. Olivia and her husband live in Lakeville and her spare time, she enjoys spending time with her nieces and nephews, relaxing with friends and traveling. Holly is Minnesota born and raised. She grew up in Savage and attended Burnsville High School where she played several sports including hockey and soccer. After high school she moved on to play soccer at Minnesota State University Moorhead where she studied Public Relations. Holly started her professional career working at Keller Williams as an executive assistant and licensed Realtor. Her ability to create systems, maintain relationships with clients and her passion for the real estate market make her a great fit for the Huerkamp Home Group. In her spare time, Holly loves hanging out on the lake with her friends and family. Nicole was born and raised in Minnesota with strong ties to the military community. Married to a United States Marine, she has spent time living in North Carolina, South Dakota and Wisconsin. She has several years of experience in mortgage loan processing, which makes her an asset working with real estate transactions having extensive knowledge in what our buyers will encounter as they obtain their financing. Nicole currently resides in Farmington with her husband Justin, step-son Easton, and her two dogs Tootsie and Kiera. In her spare time, she enjoys spending time with her family and watching the Minnesota Vikings. She loves the warm summers, but finds comfort in knowing that when summer comes to an end, football season begins. Kaitlyn was born & raised in Minnesota and currently resides in Burnsville. Growing up she played several sports including hockey, which taught her fundamental life skills such as accountability, setting and achieving goals and teamwork. She has a degree in sales & marketing from Saint Mary’s University of Minnesota and is a licensed Realtor. Kaitlyn started her professional career as an event planner before deciding to pursue her passion for real estate. Kaitlyn’s communication, marketing and event planning skills make her a great fit for the Huerkamp Home Group’s client care specialist position. Kaitlyn loves spending time with her husband Brian and their dog Nordy, and hanging out with friends and family. Colin graduated with Bachelor of Science in Civil Engineering from the University of Manitoba, Winnipeg, Canada. He worked as a registered professional civil engineer here in Minnesota for 10 years. He was a civil engineer in the private sector for 8 years and in the public sector for 7 years. He also served as city engineer in Apple Valley for over 10 years. His history includes managing, design and overseeing construction of over $75 million in public infrastructure improvements, including numerous housing developments resulting in hundreds of new single family, townhouse and condo units across the Twin Cites metro area. His strong construction and building experience blend perfectly with his real estate practice today. Brooke is married to Jason and they have two children, Piper and Crosby. She was born and raised right here in the Twin Cities and grew up in the industry where both her father and grandfather were Realtors here in Minnesota. Her grandpa was involved in a sale of the Foshay Tower in Minneapolis. She has been a licensed real estate agent for almost 20 years. In 2016, she expanded into mortgage and became a licensed mortgage loan officer. She also spent 2 years as a branch manager for American Mortgage & Equity Consultants in Bloomington where she immersed herself in the financing side of the real estate industry. During this time, she built many strong relationships both on the financing side and with cooperative real estate agents in the area. Brooke has witnessed the up’s and downs of the Minnesota real estate market and the tremendous change and growth that’s transformed the area. Her exceptional knowledge of the market here in the Twin Cities, coupled with her seasoned insider’s expertise having built, lived in and sold numerous properties throughout the area. She also owns a portfolio of rental properties and does her own property management. Brooke knows the local market and has a keen eye for recommendations on updating, cosmetic recommendations and staging homes. Whether you are a first-time buyer looking for your first home or selling to transition to a new season of your life, she is the unequivocal go-to resource for all your real estate needs. She thoroughly loves real estate and works hard to make the real estate experience enjoyable for her clients. Her goal is to become a go-to real estate resource for life and many of her clients become her neighbors and friends. Andy’s 19 years of sales experience made him a great fit for the Huerkamp Home Group. He epitomizes integrity, energy, hard work, and creative service in every detail of your real estate transaction. His primary role as a Realtor is to work with buyers and help clients feel at ease, knowing he has their best interest at heart. Whether you are transitioning into your dream home, or a first time homebuyer, his goal is to help you understand the process when buying a new home and find the right fit for you. Andy has lived in the Twin Cities area his whole life. He enjoys the outdoors and spending time up north with his wife Ann, their 4 children and 6 grandchildren. Ian is a lifetime Minnesota resident. He grew up in the Brainerd Lakes Area and currently lives in Minneapolis. He found his passion for real estate after attending college at the University of North Dakota. He has a good work ethic and a will to help others that is unparalleled in the real estate industry. Ian’s role on the team is to understand your specific needs and help you acquire your next home or sell your current home. He takes great pride in making your home selling and buying process a transition filled with excitement and confidence from start to closing. Jason Oliver is Minnesota born and raised with strong ties to the boating community. Having built, designed and managed three separate multi-million dollar boat brokerage houses in two decades. He specialized in advertising, financing, sales, titlework, boating safety & systems. Utilizing his past 20 years of one on one experience with buyers and sellers, it was an easy transition into the Huerkamp Home Group. He strives to learn about his clients, while maintaining a balance of needs versus wants. His fundamental purpose is to seek out the best matching properties for his clients. Be prepared for his questions! Jason and his wife Sharon are long time residents in the Bloomington area with their three children, Evelyn, Rose and Hannah. When not in the office they travel, fish, boat and snowboard as much as possible. Ashli is a longtime resident of Minnesota with a passion for real estate. She graduated with a Bachelor’s Degree from North Dakota State University and decided to pursue her aspiration of being a full-time Realtor. Ashli is known to be an honest, compassionate and most of all a persistent individual; she will do everything above and beyond to help you find the home of your dreams! Ashli knows that buying or selling a home can be simultaneously exciting and challenging, so she makes it her top priority to connect and listen to her client’s needs to make it the best experience possible. Her attention to detail is an invaluable asset to her clients. Lastly, Ashli consistently provides top-notch service while building lasting relationships; making the buying or selling process fun and as seamless as possible for you! Zac is originally from Colorado but his wife Steph was born and raised in Minnesota. With their two kids (Avery and Carter) they have set roots here in Minnesota. He has spent the last several years in the real estate industry. He has worked with Realtors nationwide with marketing, advertising, but most importantly how to give exceptional service to clients. Before real estate, he had a career in management and training in several different sales fields. His best quality is to find a way to make everyone around him better, which will result in better service for the clients. He is now utilizing that knowledge and bringing it to the Huerkamp Home Group. He enjoys the team atmosphere and set up. The team set up provides the opportunity to help each other, which will only help our clients, and make the home buying and selling process flawless for those clients. Zac enjoys being outdoors, playing with his kids, fishing, camping, barbecues, and tennis. Cooper was born and raised in Minnesota. Graduating from Lakeville South High School in 2016, he completed his associates degree from Normandale Community College in just three semesters and immediately began a career in real estate. Outgoing, caring, and hard working are three words to describe Cooper. He is very approachable and readily available to help out whenever he is needed. His patience, calm demeanor and positive attitude make him an asset to both our team and our clients. Cooper understands that the home buying process can be stressful and works to help make our client's home search as enjoyable as possible! Aside from real estate, Cooper is passionate about fitness and sports. His passion for basketball has recently led him to coaching a youth boys team in Bloomington. In his free time Cooper enjoys going to the gym, playing and watching basketball and relaxing at home with friends and family. Nick has been involved in the world of real estate since 2012. Originally starting as the property manager of a small, class A luxury property in Minnetonka, Nick learned the ins and outs of residential property management. Nick then took his experience to Renters Warehouse where he helped build and grow the sales and leasing department for two years before becoming the assistant property manager of a 420+ unit apartment community. From there, he transitioned on to do a stint in commercial real estate, assisting in the management of 30+ commercial building units. Born and raised in Eagan, Minnesota, Nick is a huge family man and loves spending time with his wife Ashley, and his two boys Avery and Bentley. He is a die-hard Minnesota WIld Fan and has played hockey since age 5. His extracurricular passions lie in real estate investment, the stock market, reading, relaxing by the lake and catching the latest movies. Heidi is Minnesota born and raised with strong ties to the baseball community. She has had various roles in the customer service and sales field over the past 25 years. During that time her detailed focus on meeting the individual needs of each customer has helped those individuals get the service and answers that they need. Heidi likes to live as the old adage states - "treat others as you would want to be treated". Heidi enjoys volunteering, and spending time with her husband Jeremy and their two children Hailey and Padgett. Jeff, a resident of Prior lake since 2000, has been a licensed Realtor in MN since 2003 and has over 25 years experience in the customer service and real estate sales industry. Jeff enjoys helping his clients achieve their goals; whether its helping them with the purchase of their first home, or the sale of their 10th home, Jeff is there for his clients every step of the way! When Jeff has personal time, he likes to spend it with his wife Cari watching their daughter Ashley play collegiate lacrosse.